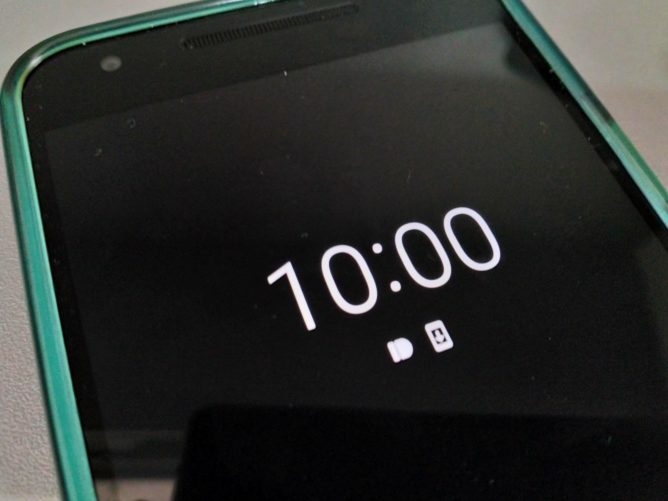 Google made some big changes to Ambient Display in 8.0, not all of which made people happy. It was a very minimal interface, rather than being a monochrome version of the lock screen. In Android 8.1, Google is adding a few new elements to Ambient Display, but it's still keeping the minimal vibe. Those on the 8.1 developer preview have noticed that Ambient Display includes the date and upcoming alarms. These are both shown right under the time and above the row of notification icons. The alarm item won't show up if you don't have one coming scheduled, of course. The layout is also a little different in that case (see above). Google also has the display very slowly creep across the screen in order to fight burn-in. 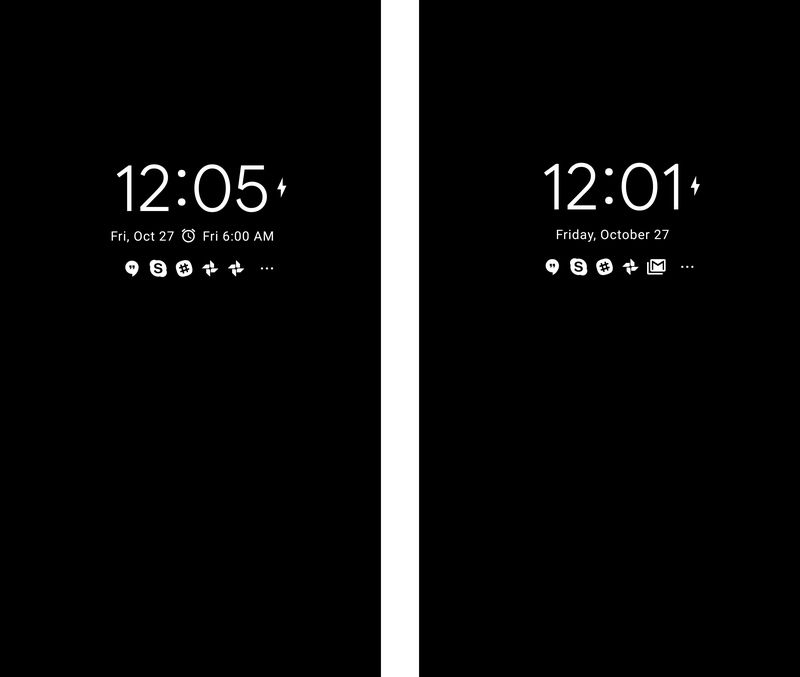 As with so many things in this update, the improved Ambient Display was already live on the Pixel 2 and 2 XL at launch. That build of 8.0 has a ton of features that are just now being made official in 8.1.